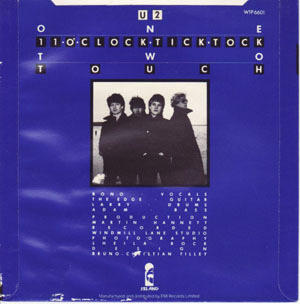 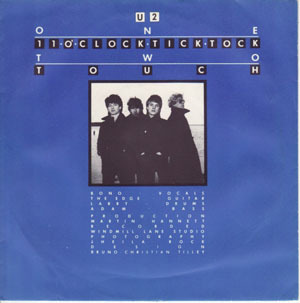 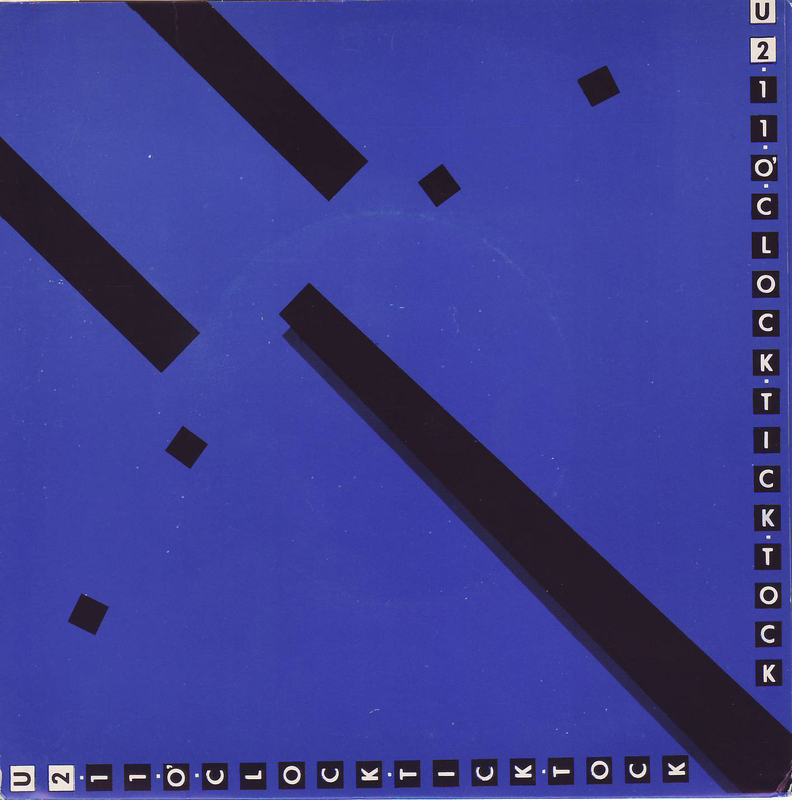 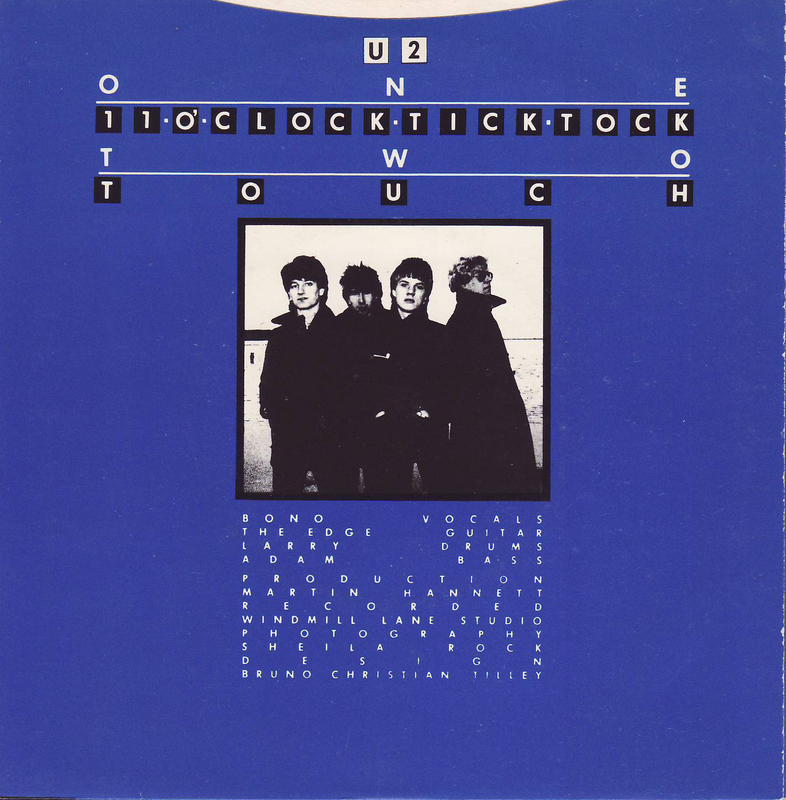 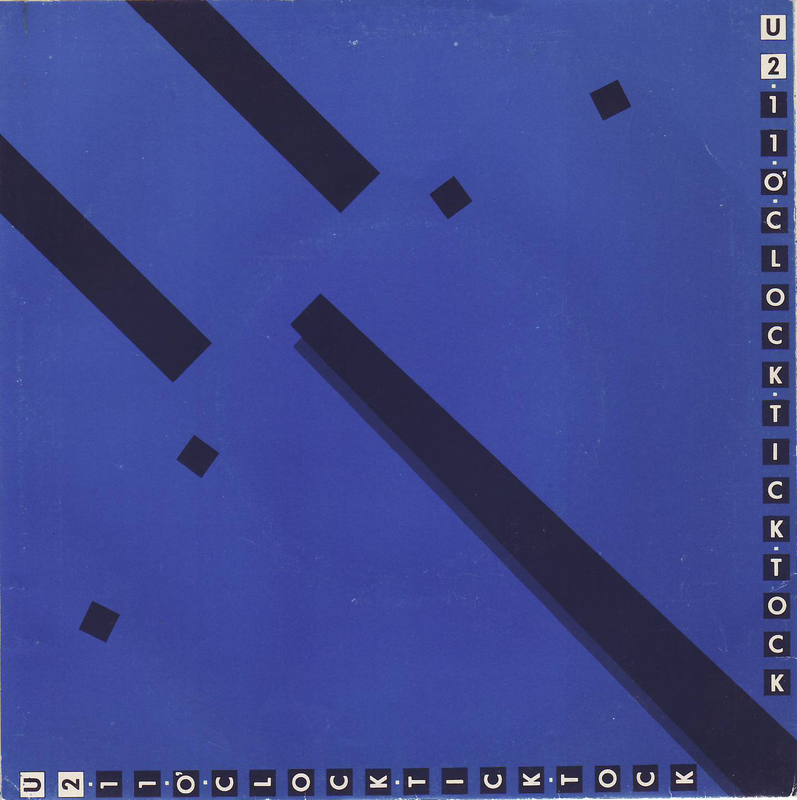 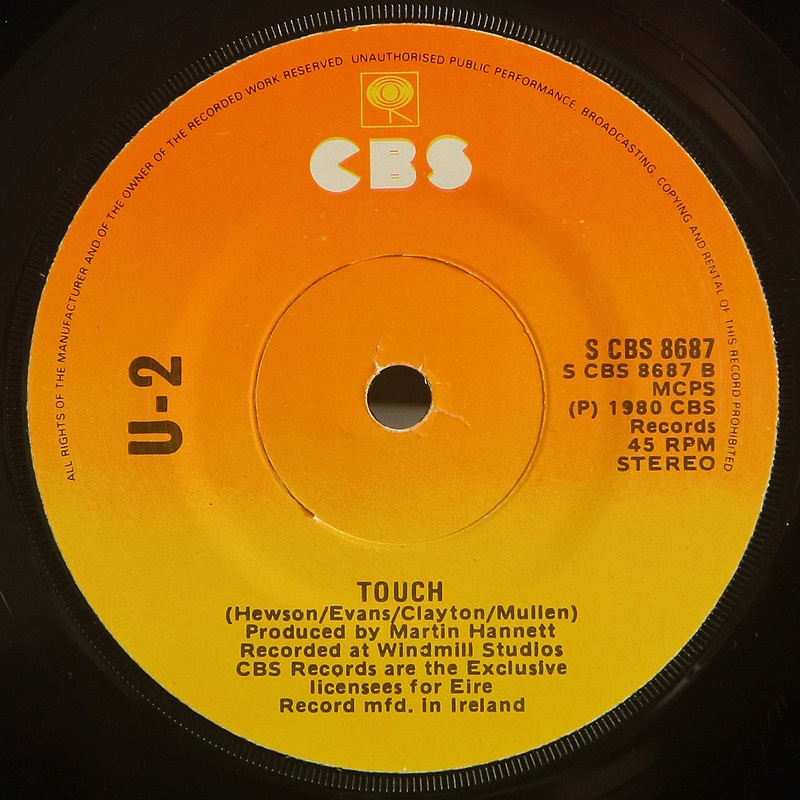 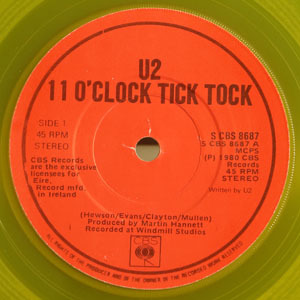 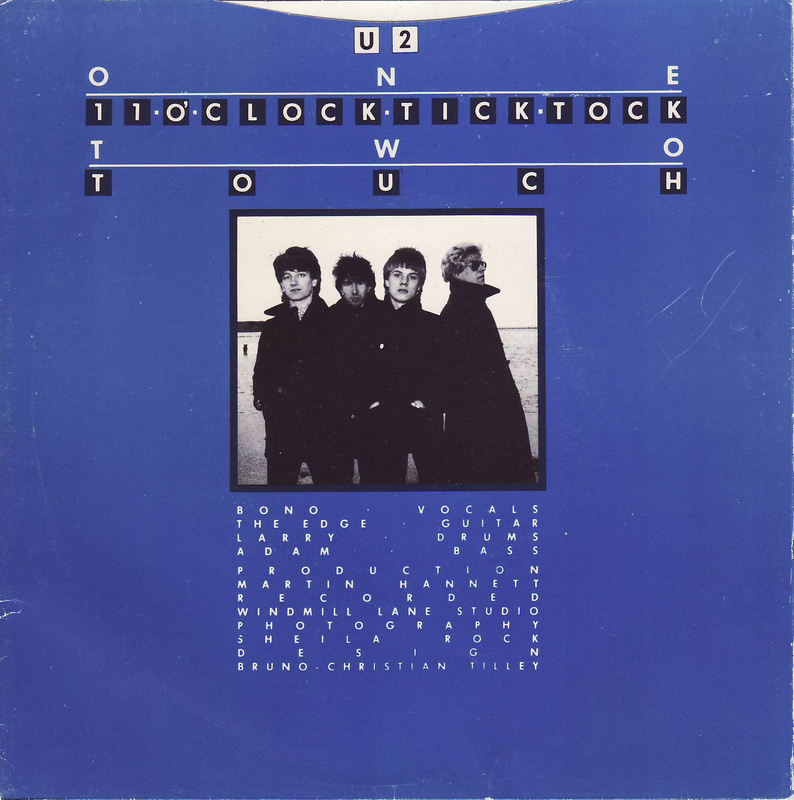 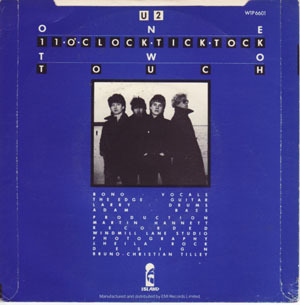 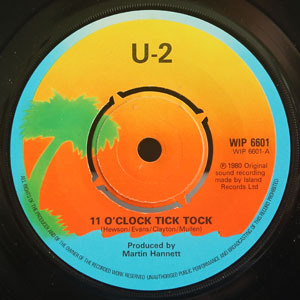 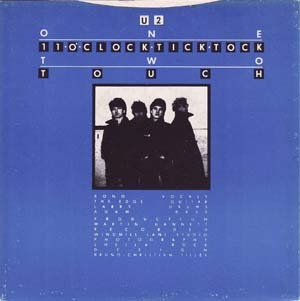 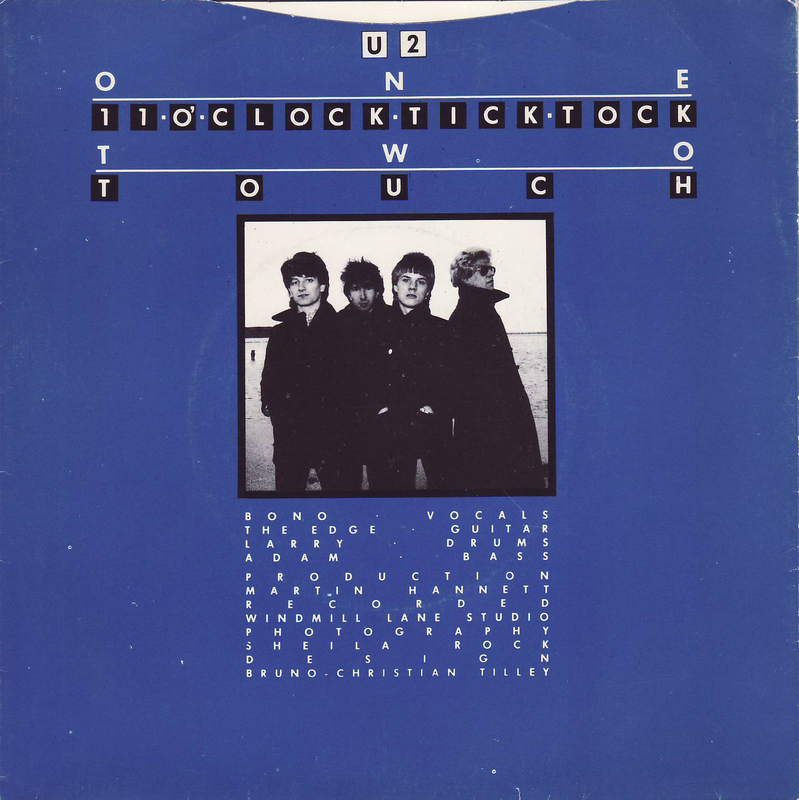 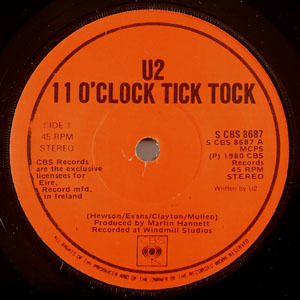 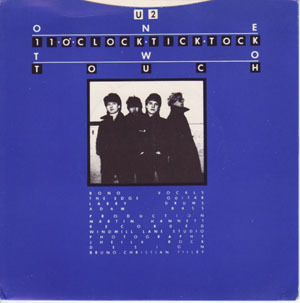 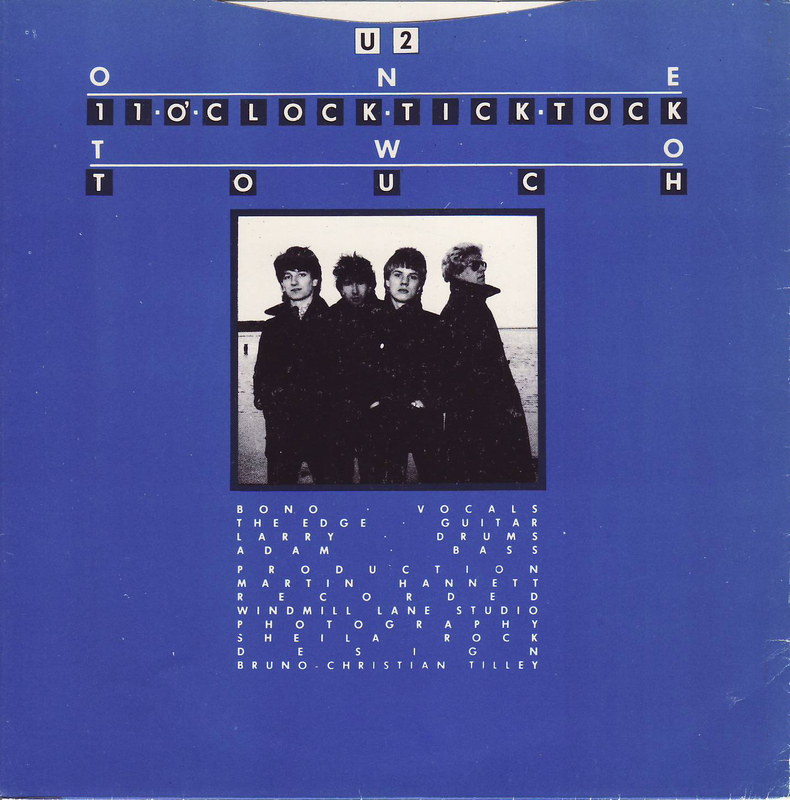 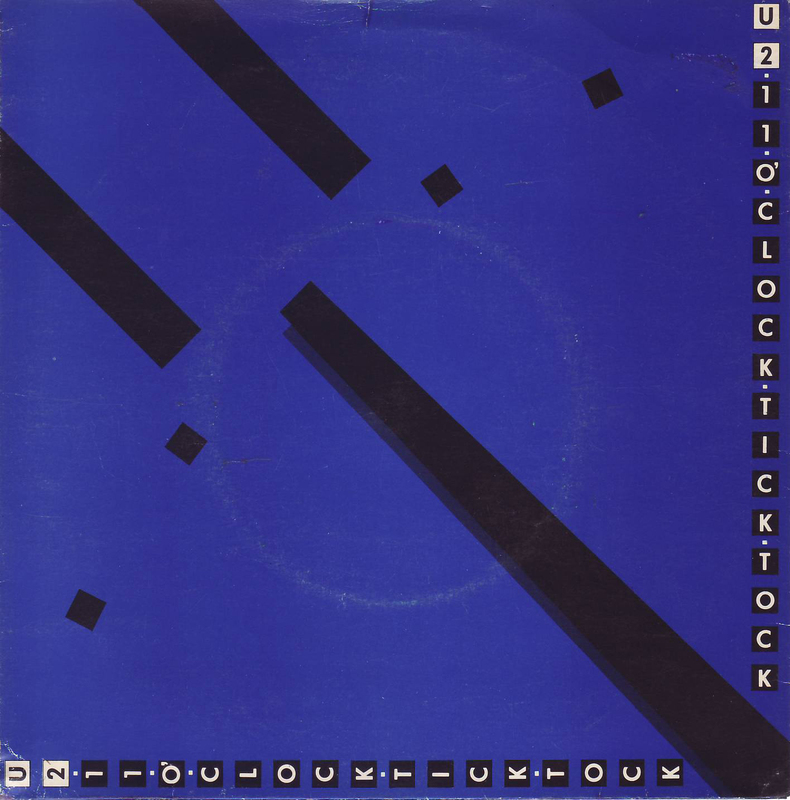 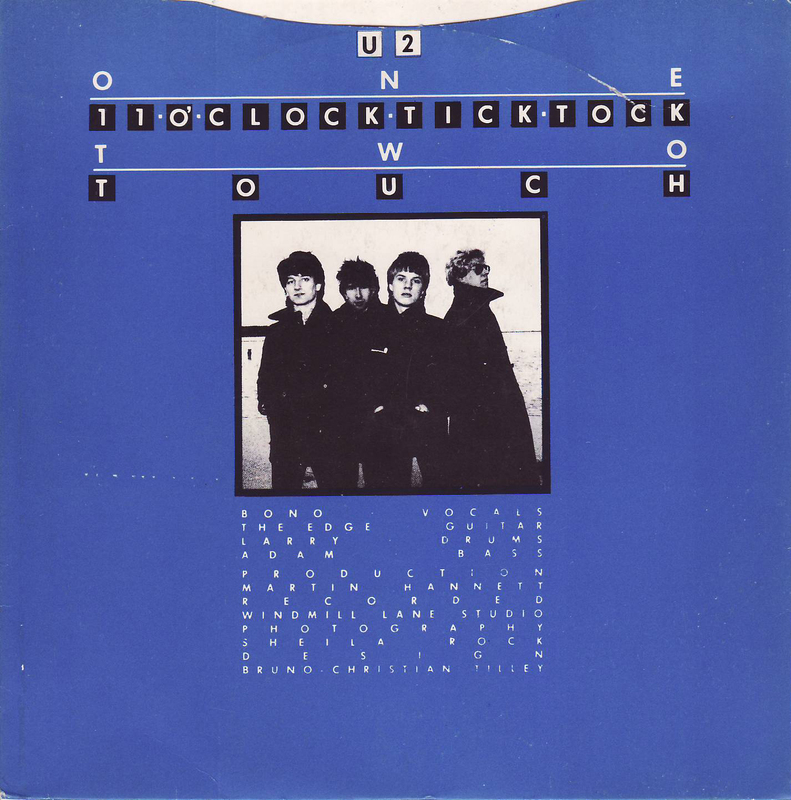 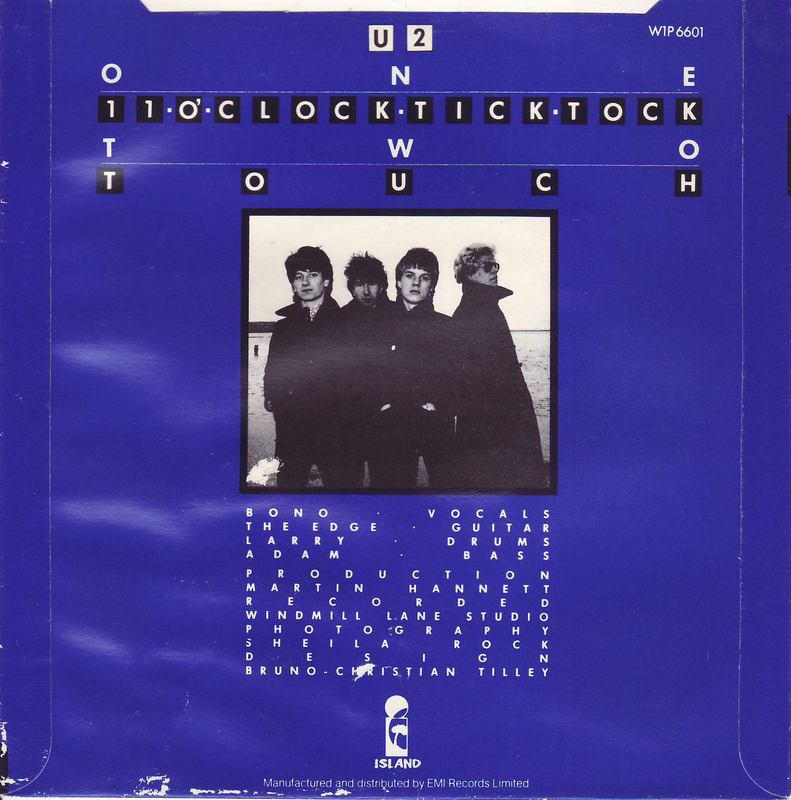 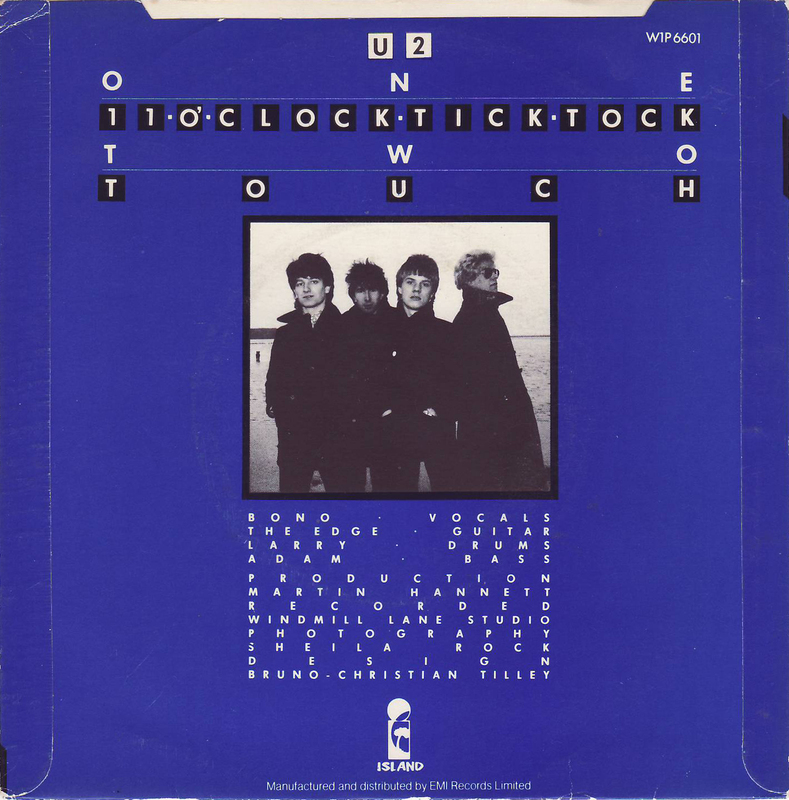 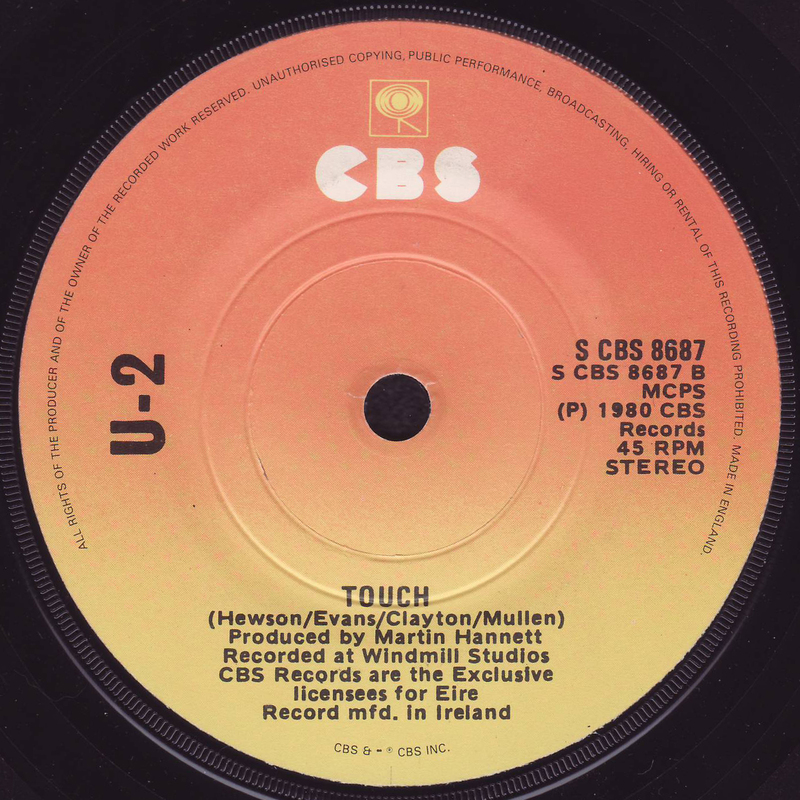 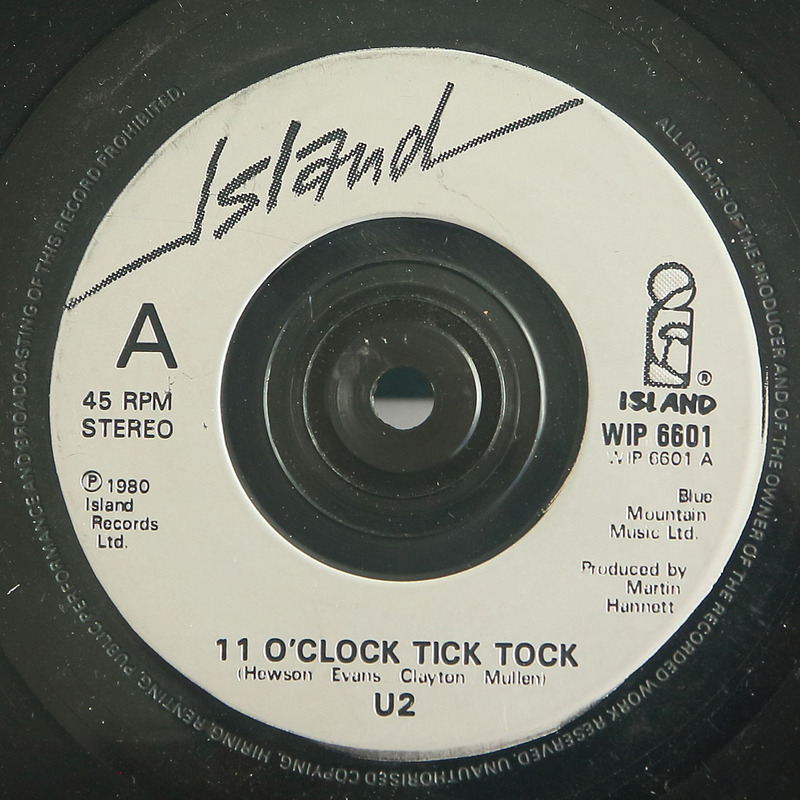 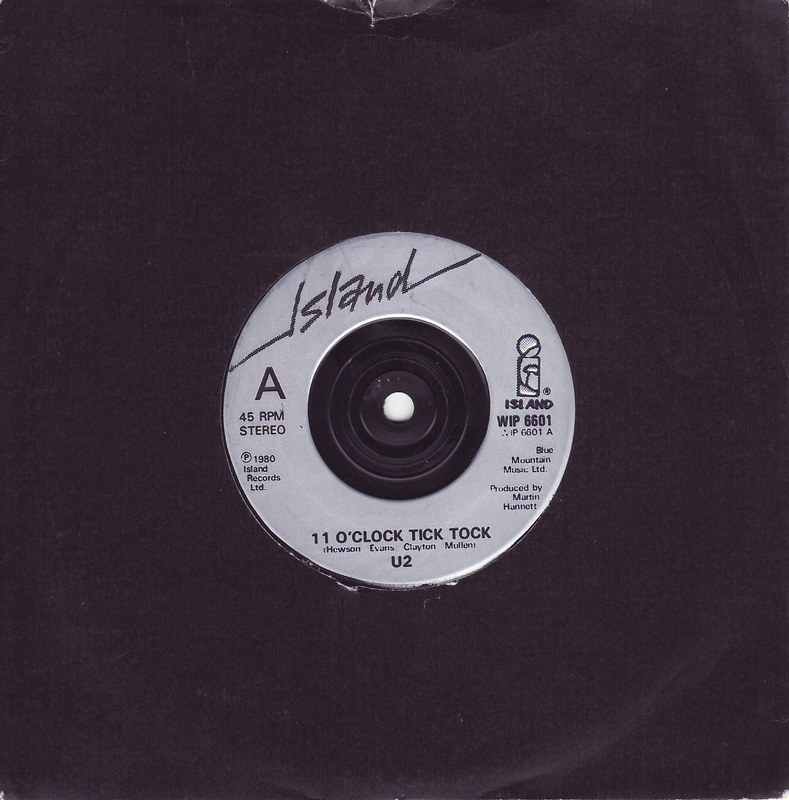 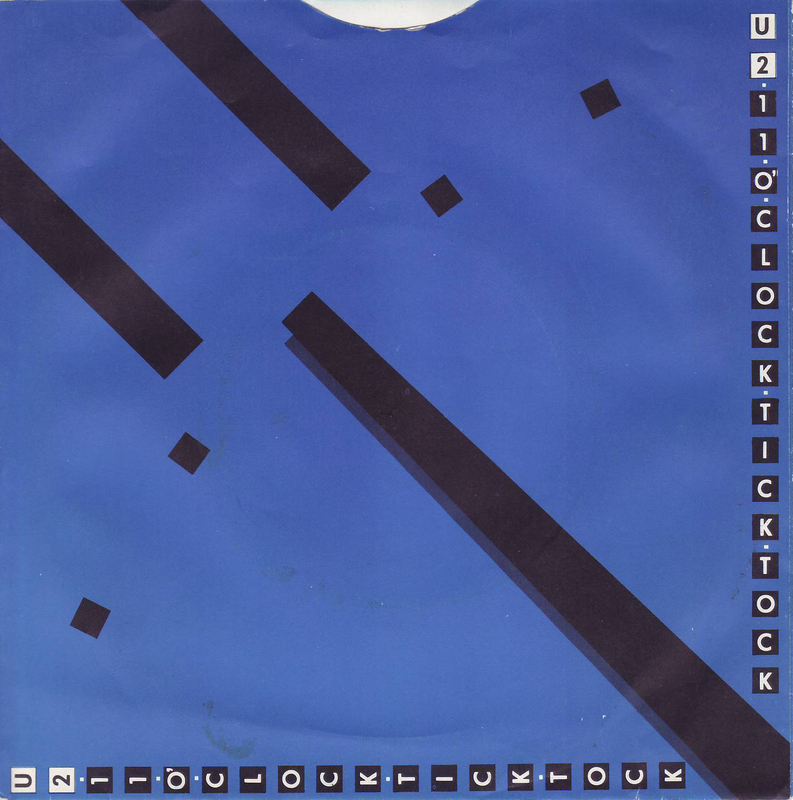 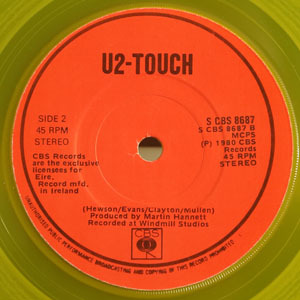 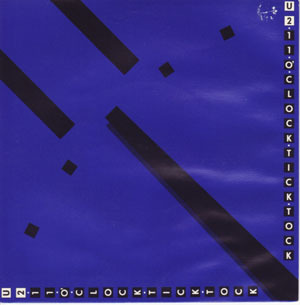 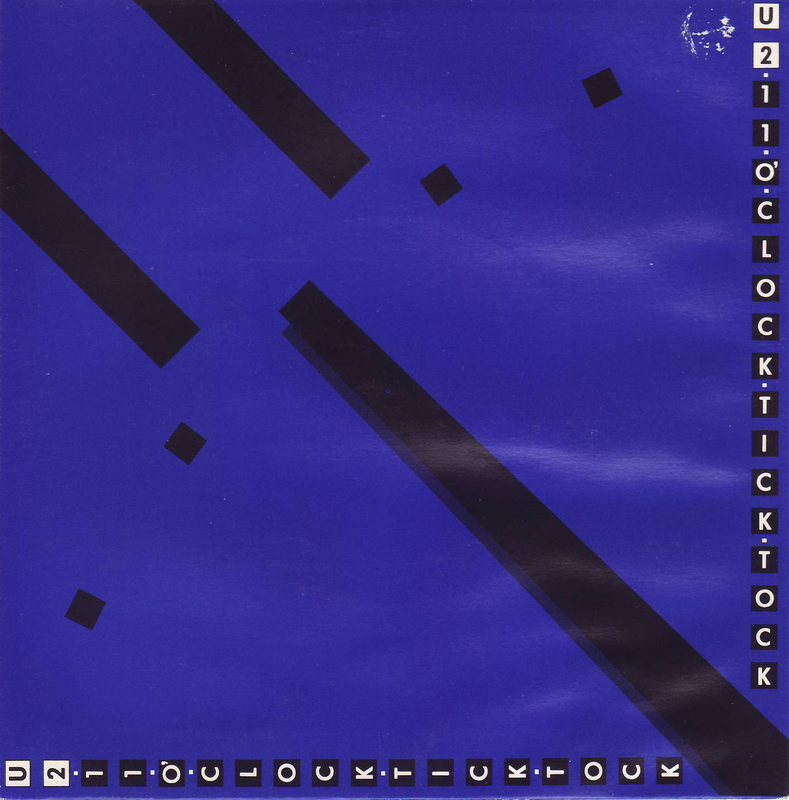 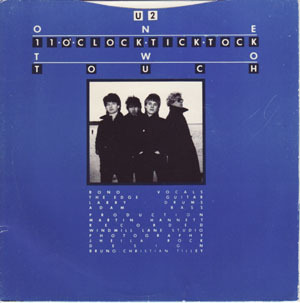 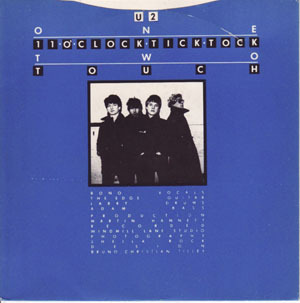 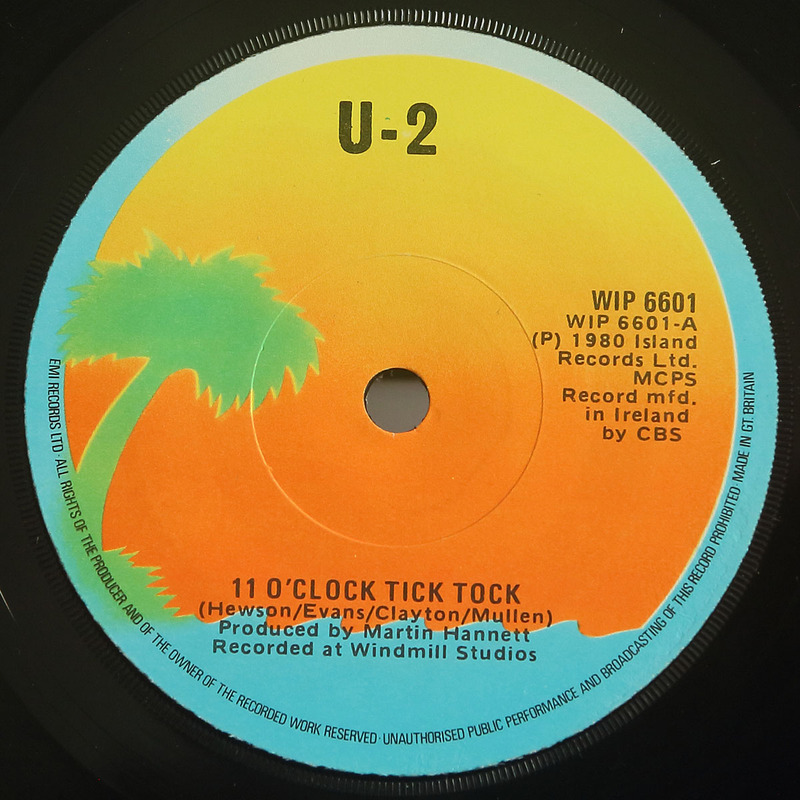 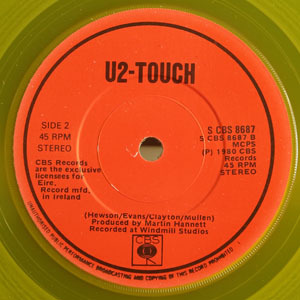 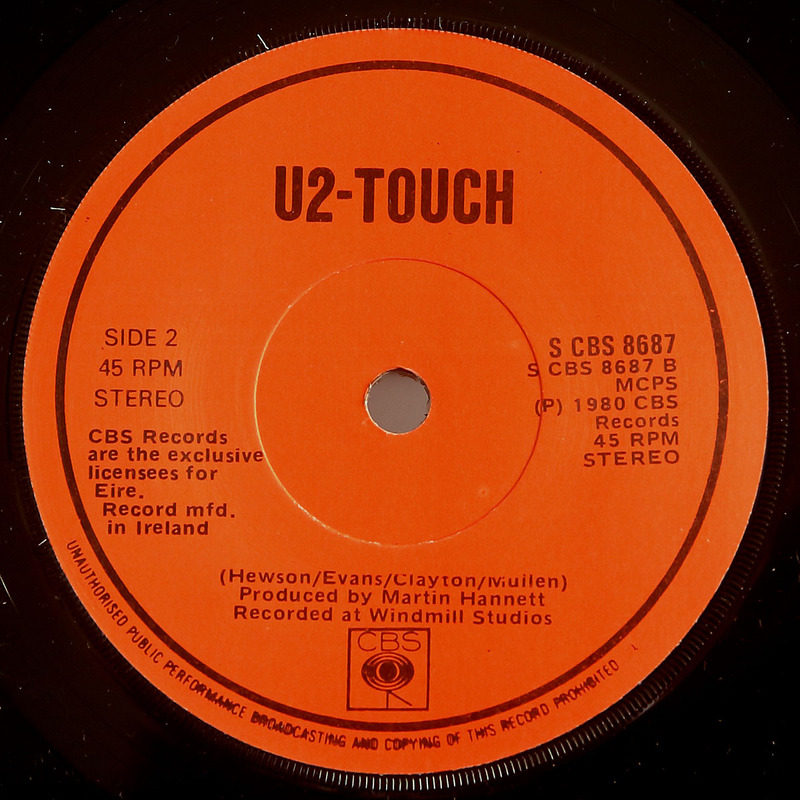 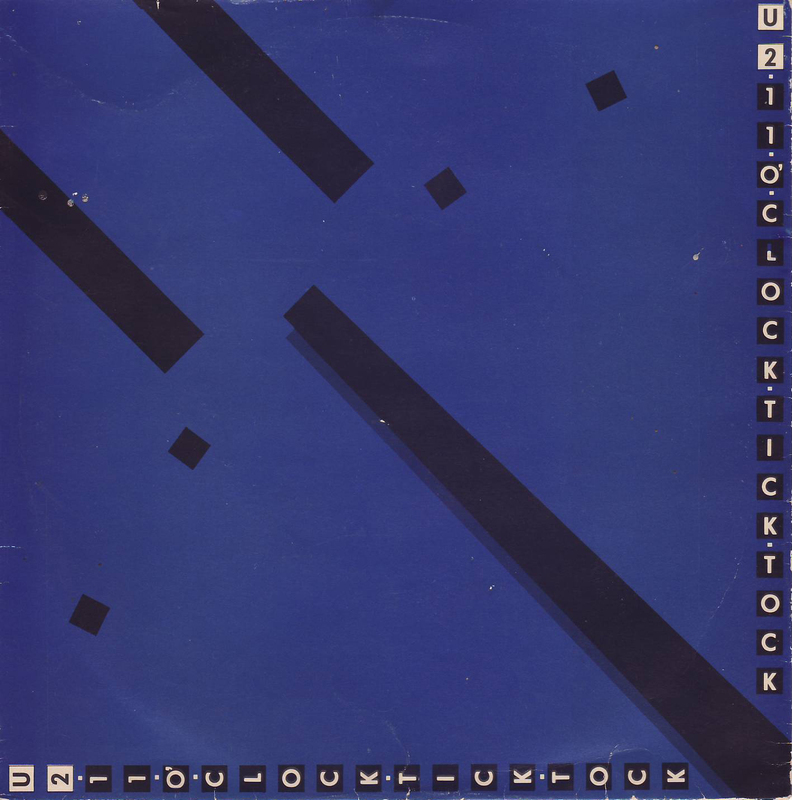 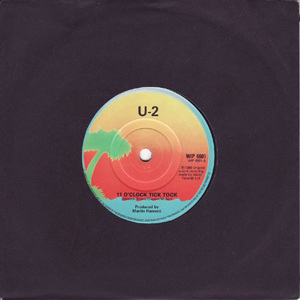 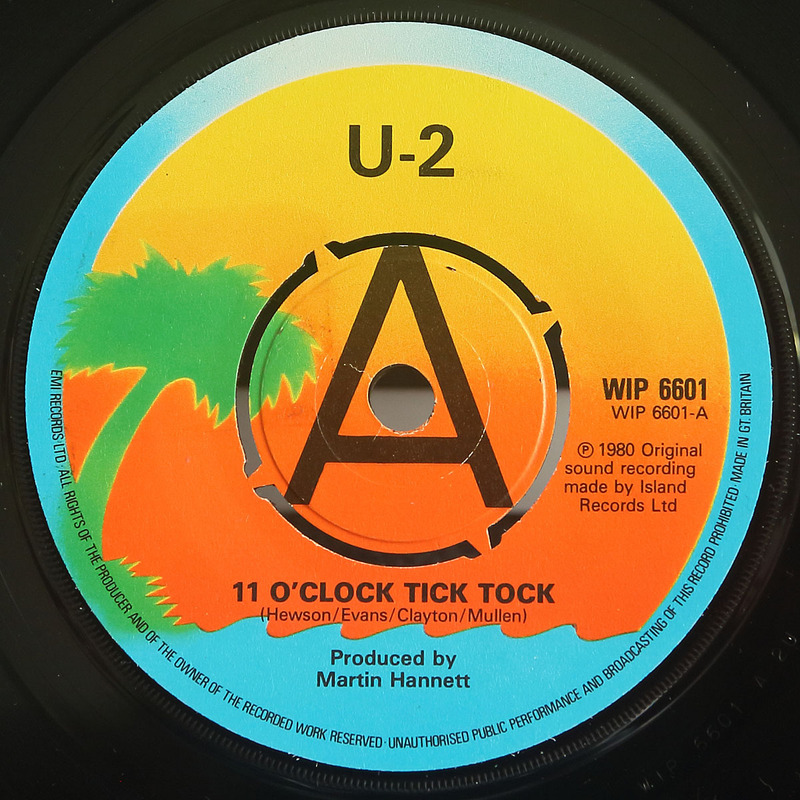 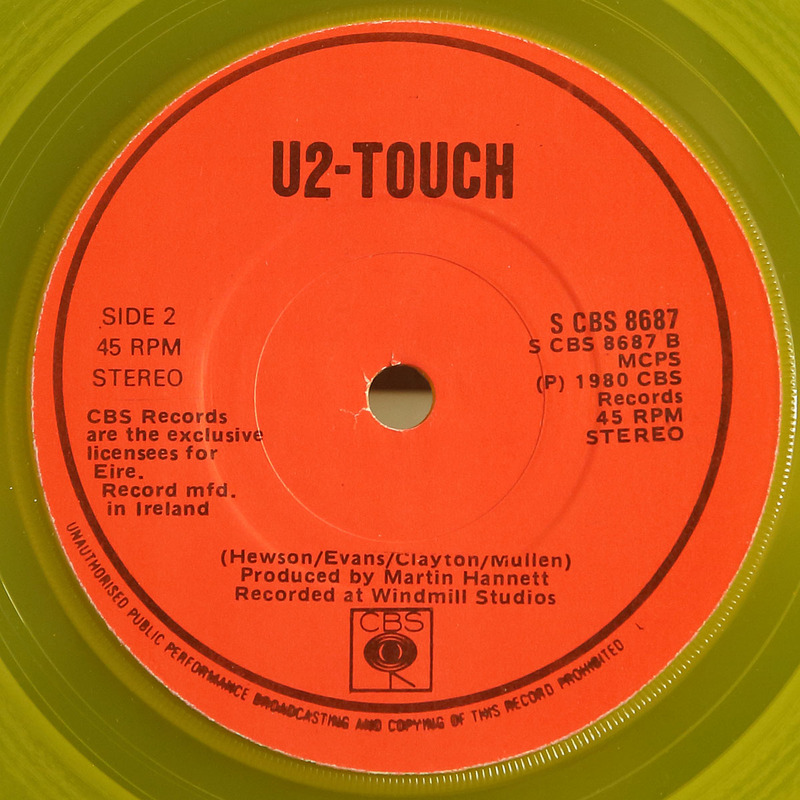 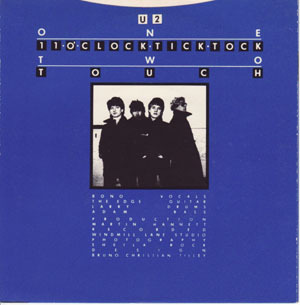 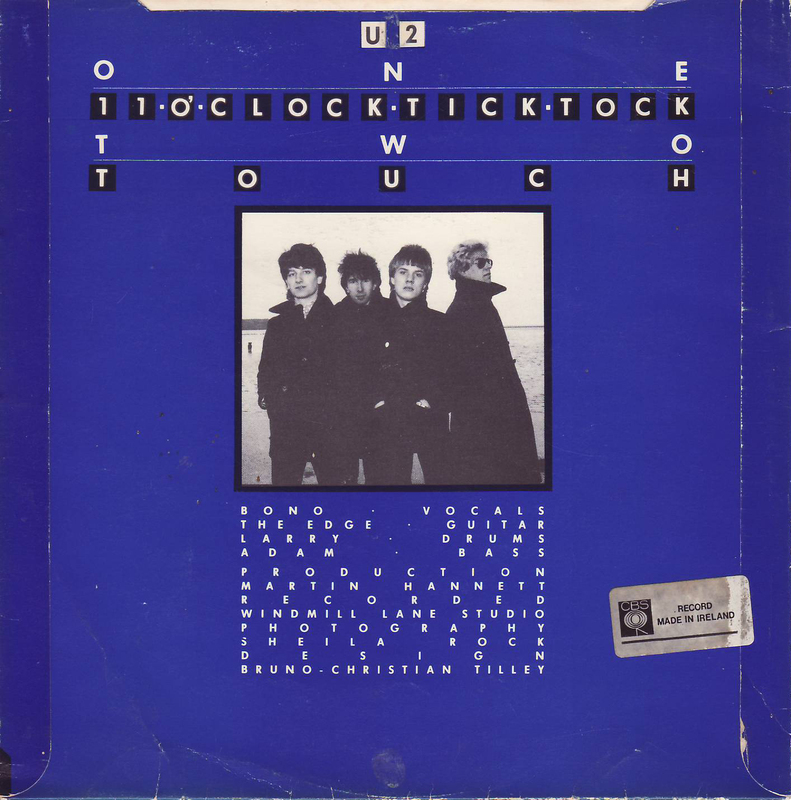 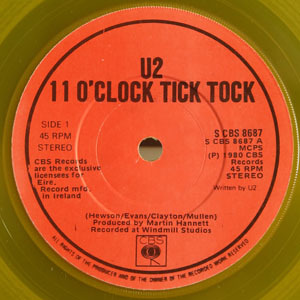 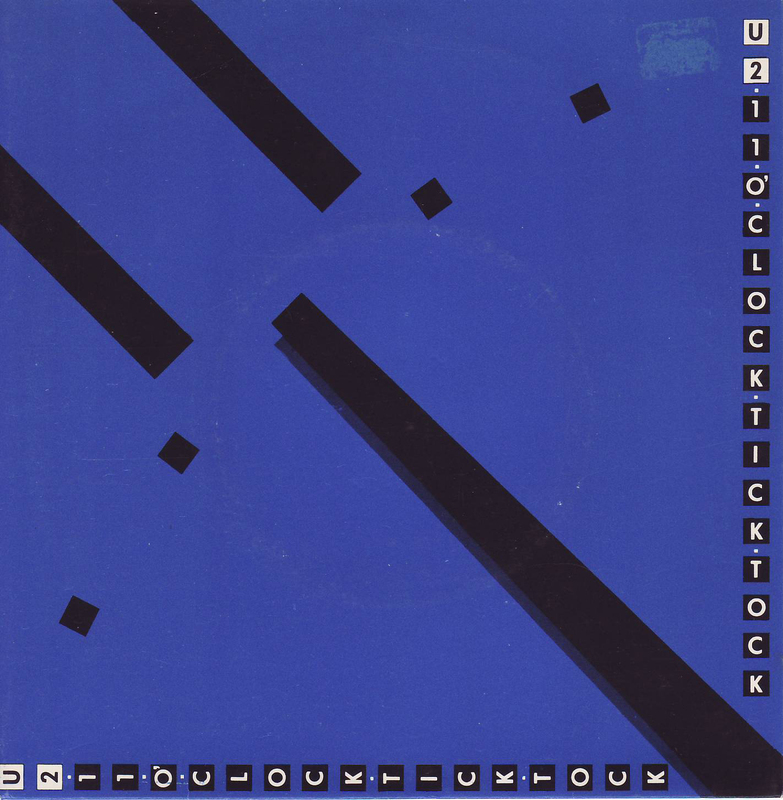 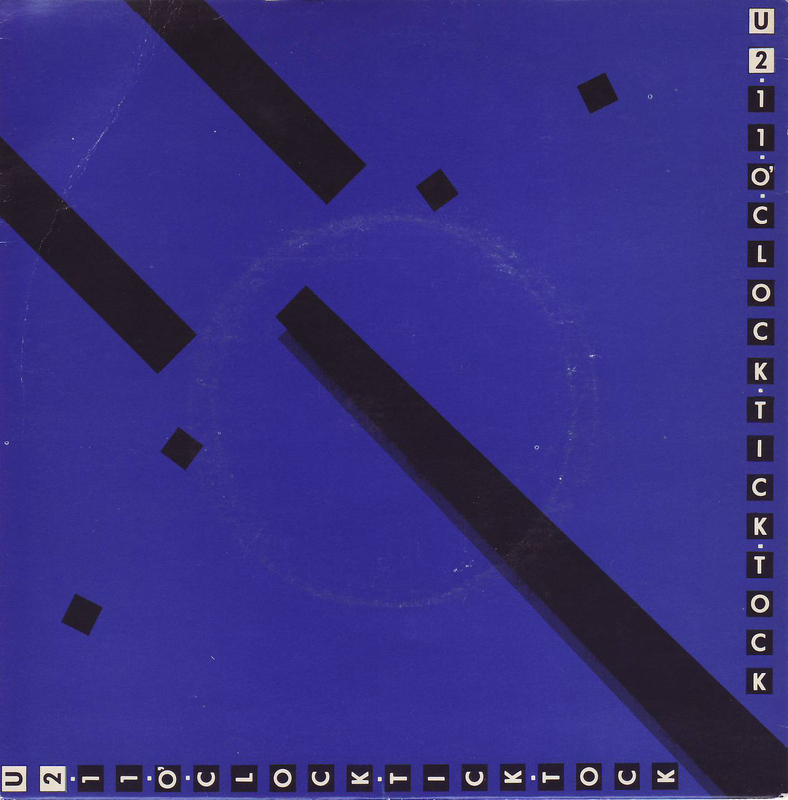 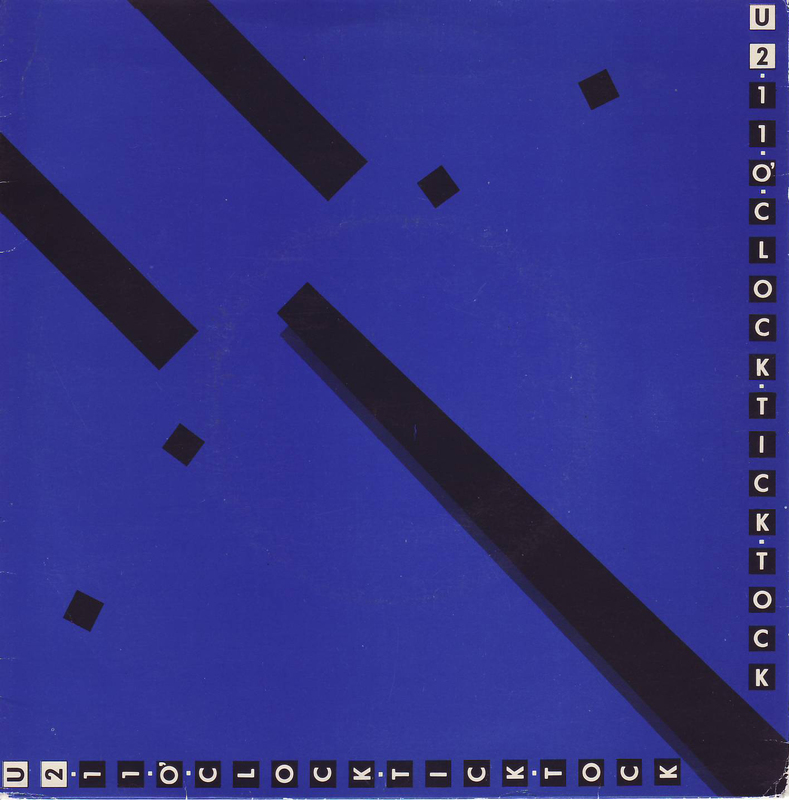 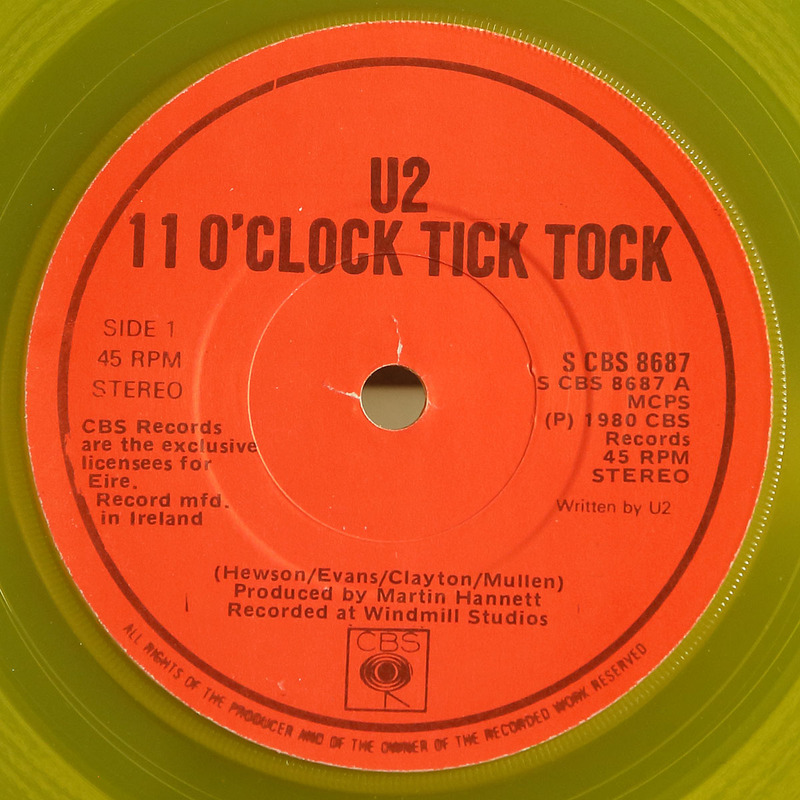 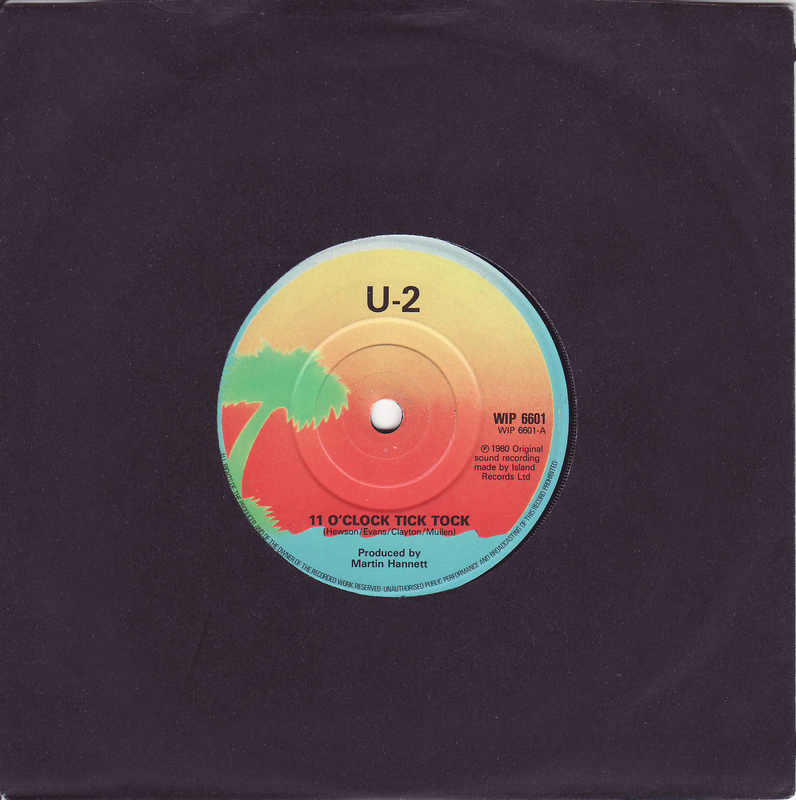 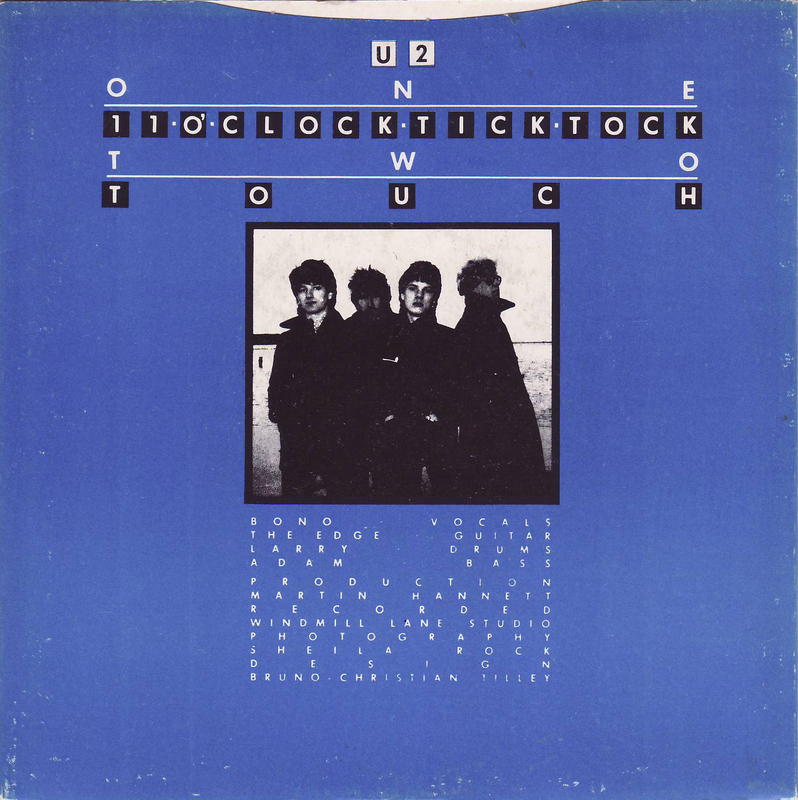 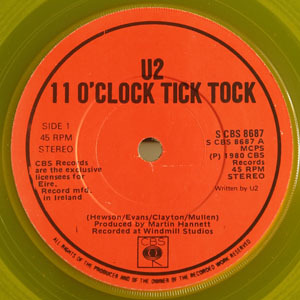 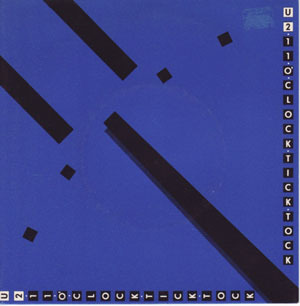 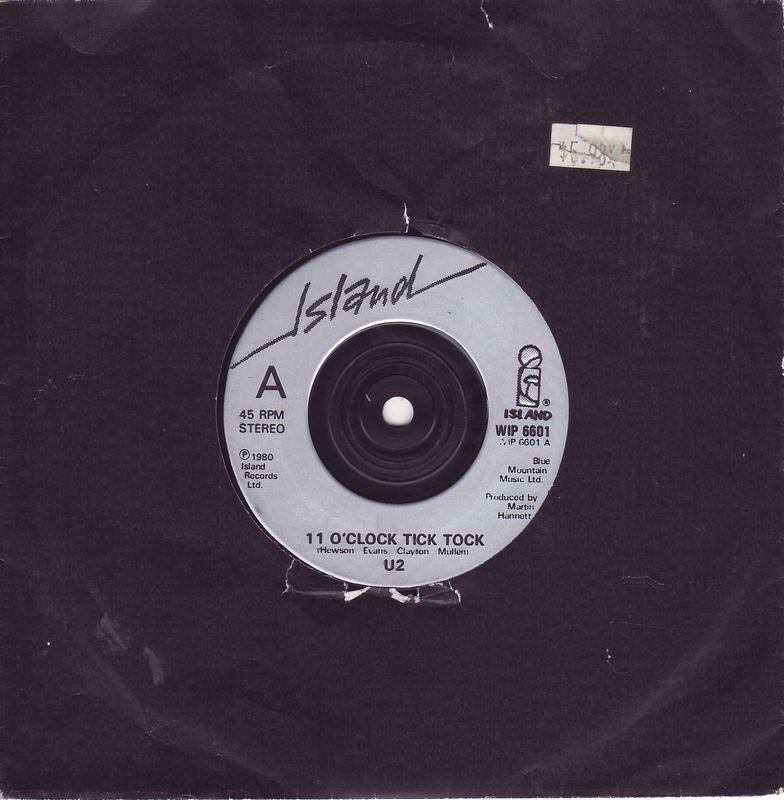 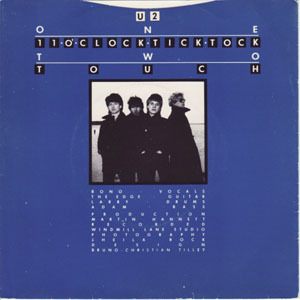 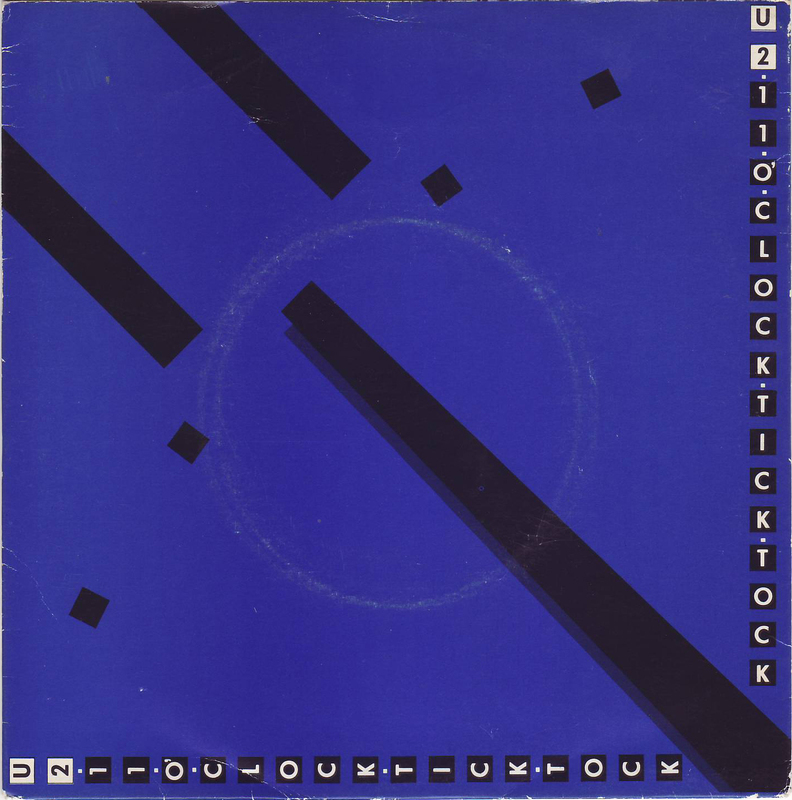 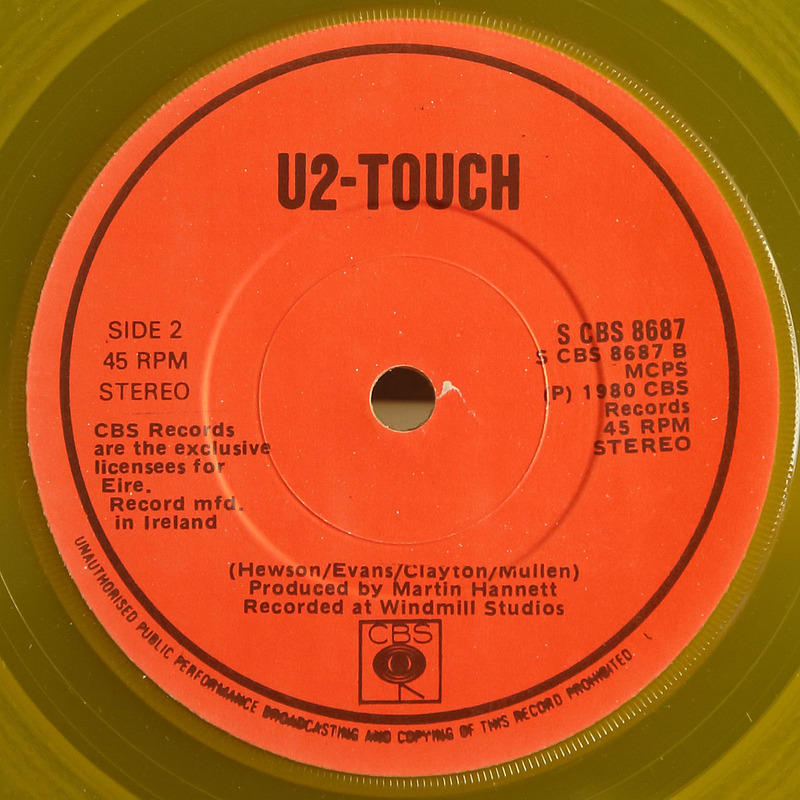 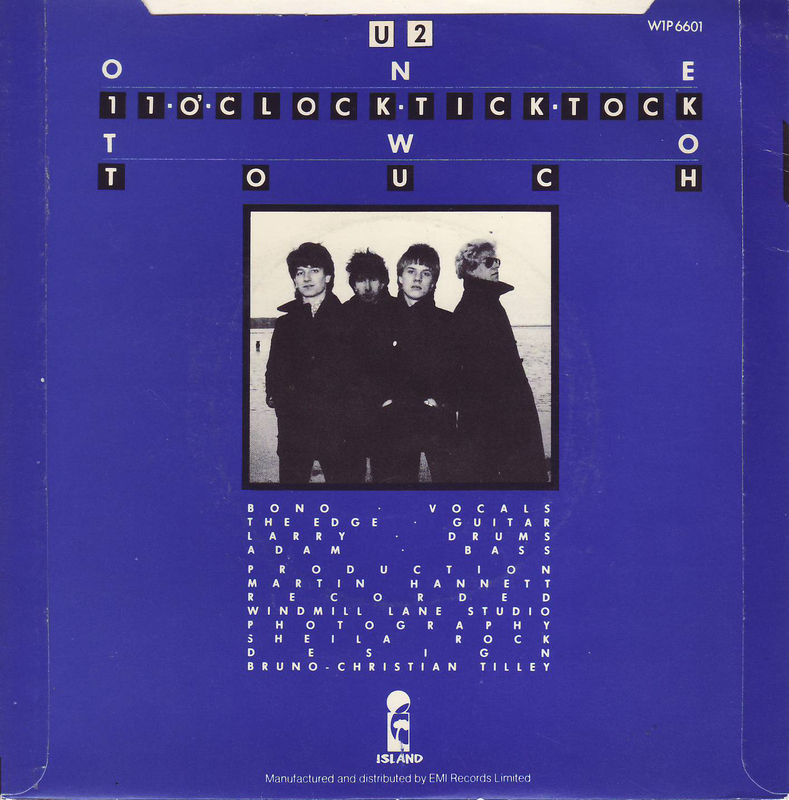 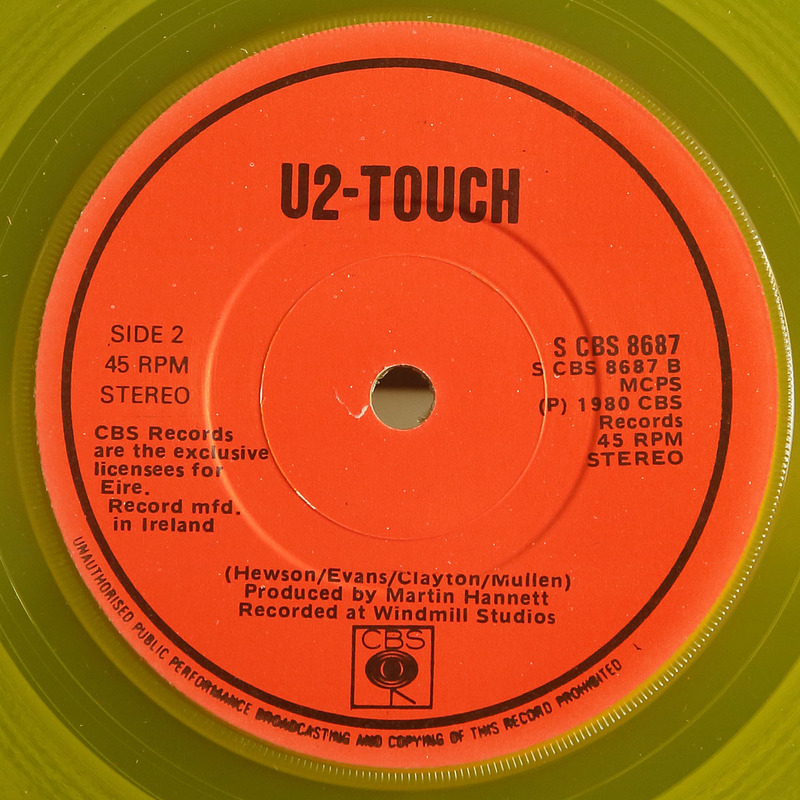 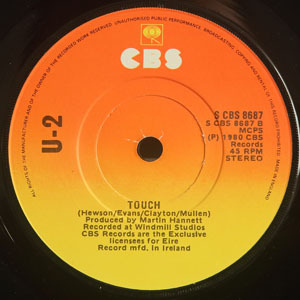 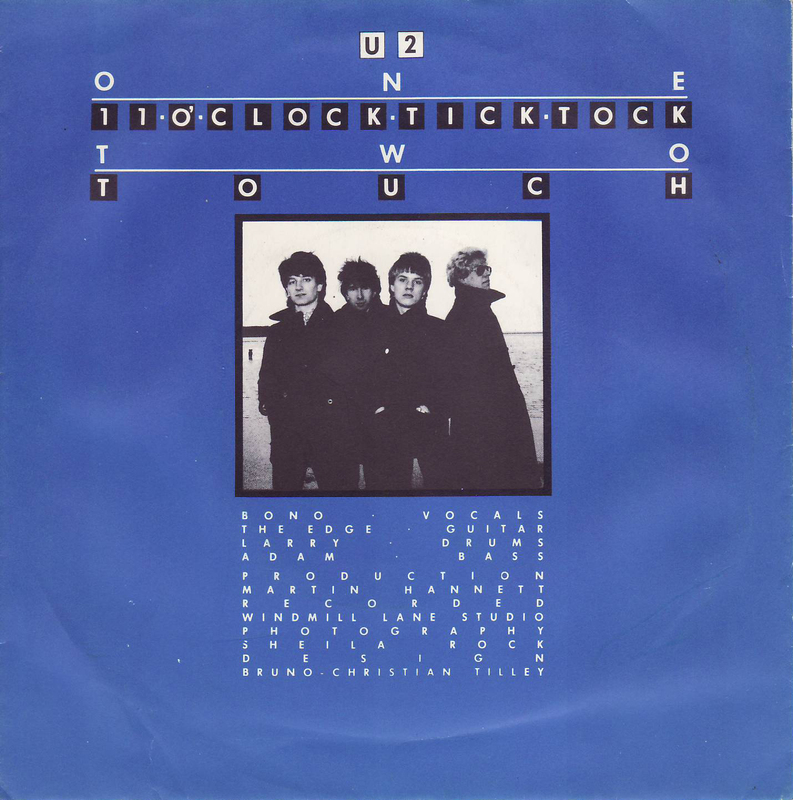 11 O'clock Tick Tock - 7"
Back PS: Large square thumb-cut with CBS sticker "Record made in Ireland". 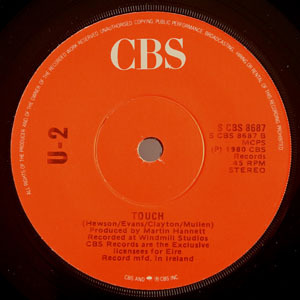 CBS 8687 - Picture Sleeve, CBS Sunburst Labels with "Made in England"
B-Matrix: "CBS-8687-B CP YII POS1-2"
CBS 8687 - Picture Sleeve, CBS Sunburst Labels with "Made in England" & "CBS & CBS Inc."
A-Label: Solid Island palm tree with "EMI Records" on left hand side and with "Made in Gt. Britain" on right hand side. 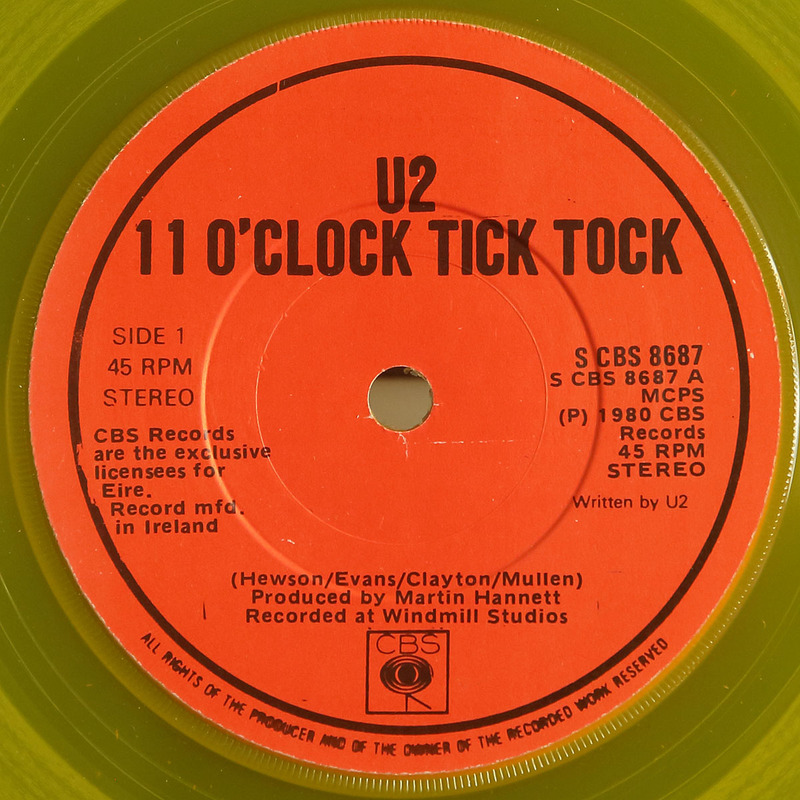 Also states "Record mfd. in Ireland by CBS". 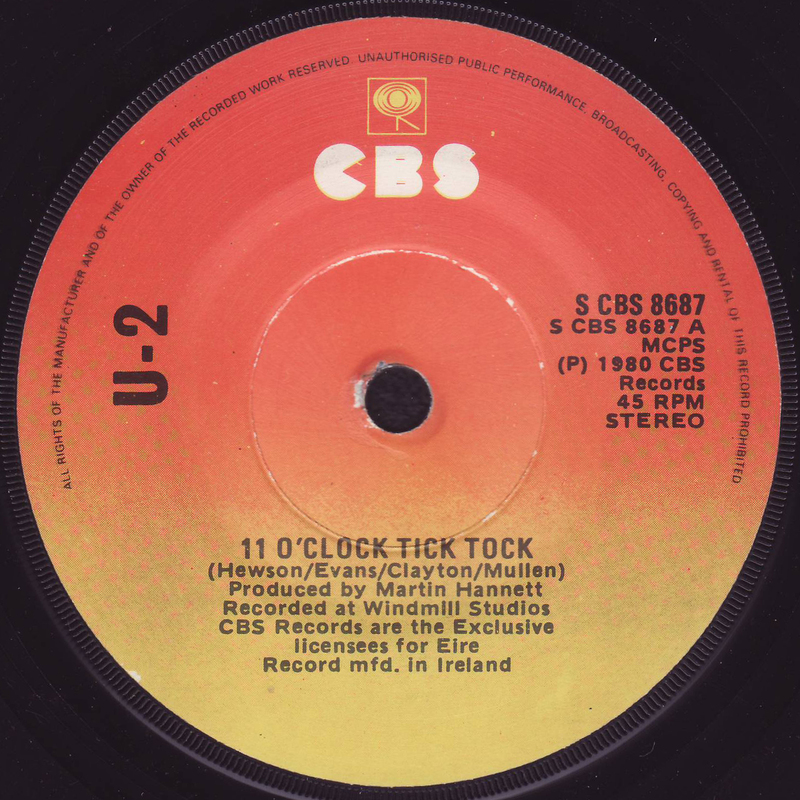 Copyright notice 1. B-Label: Solid Island palm tree with "EMI Records" on left hand side and with "Made in Gt. Britain" on right hand side. 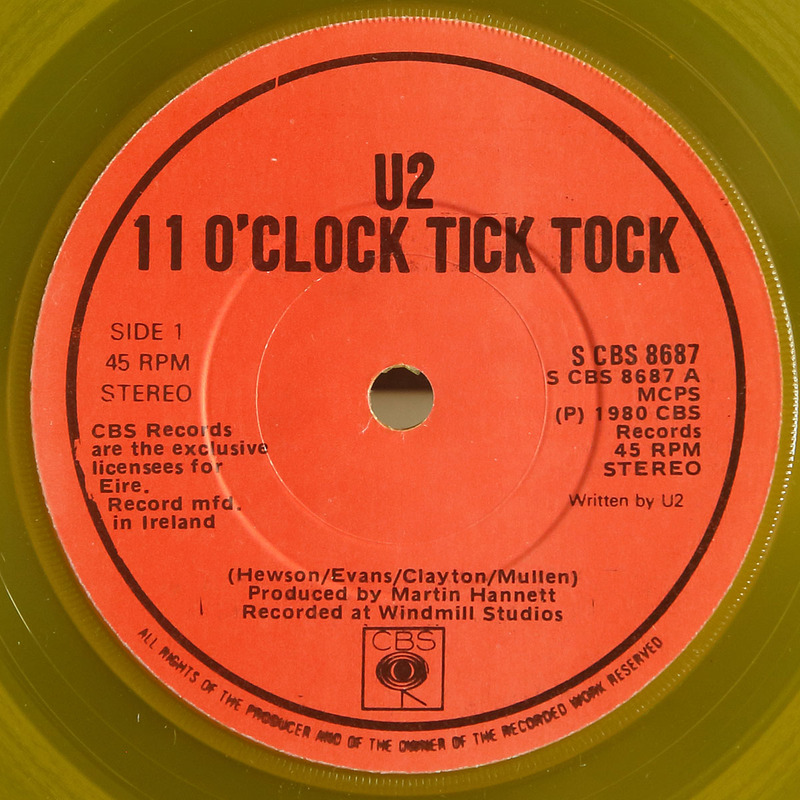 Also states "Record mfd. in Ireland by CBS". Copyright notice 1. 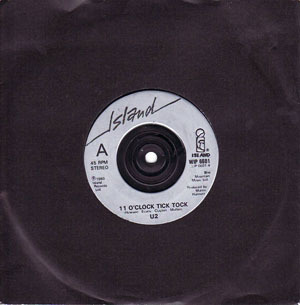 A-Label: Solid Island palm tree without "EMI Records" and without "Made in Gt. 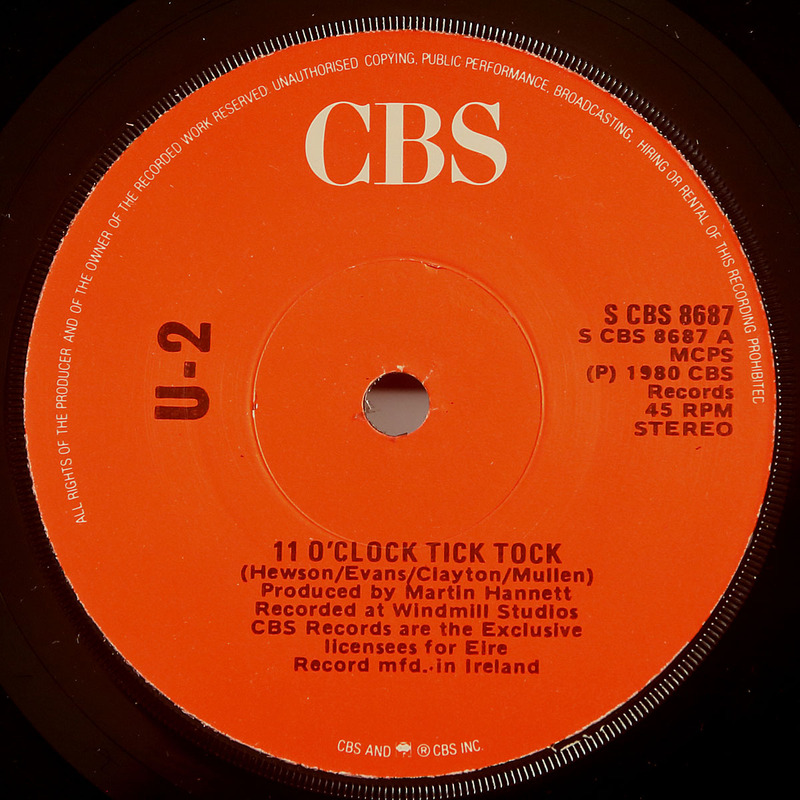 Britain". Copyright notice 1. B-Label: Solid Island palm tree without "EMI Records" and without "Made in Gt. 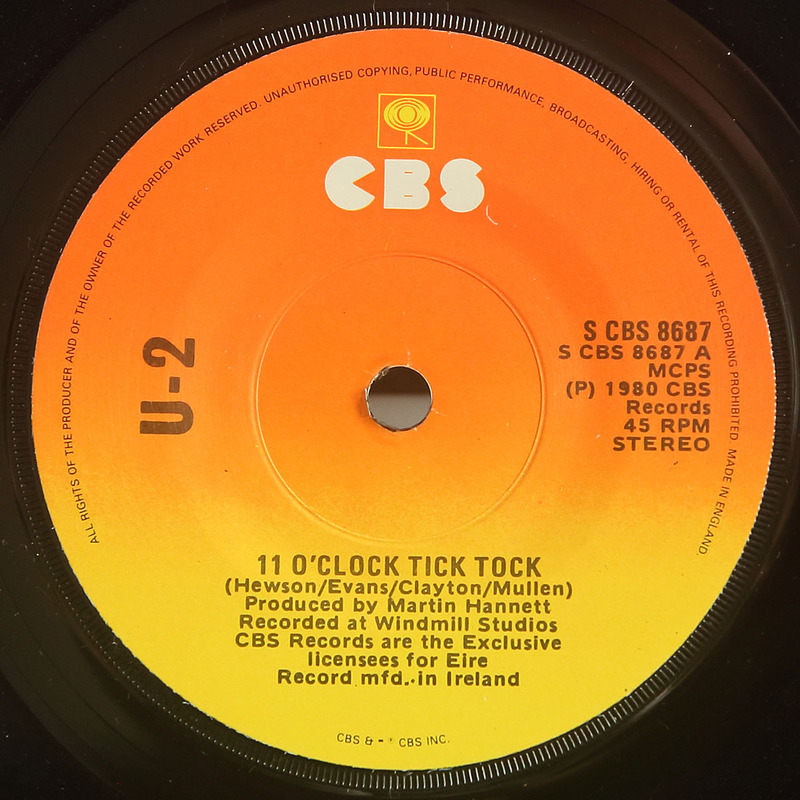 Britain". Copyright notice 1. 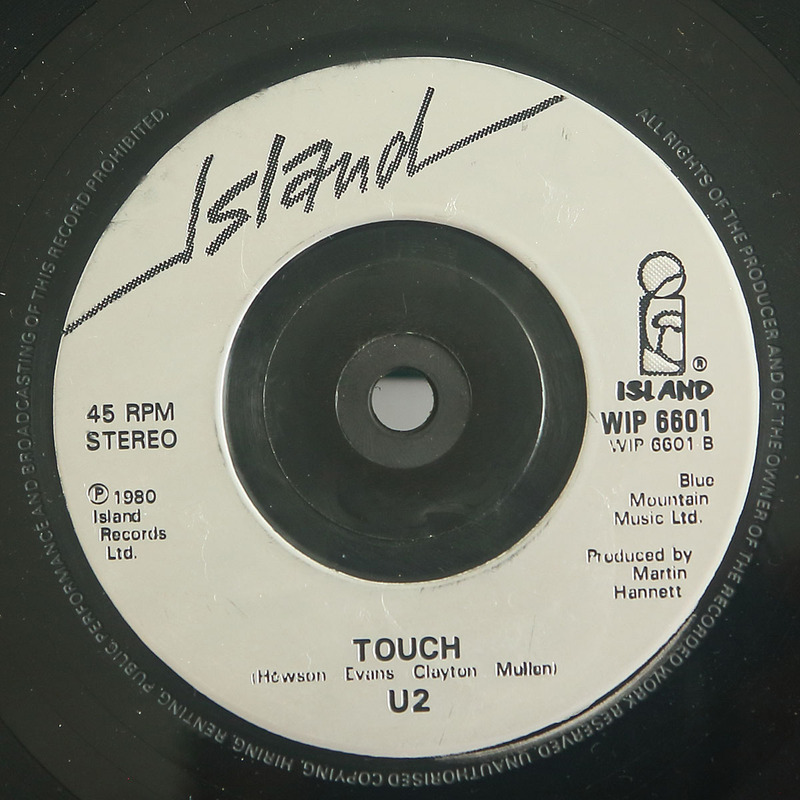 A-Label: Punch-out Island palm tree with centre, with "EMI Records" and with "Made in Gt. 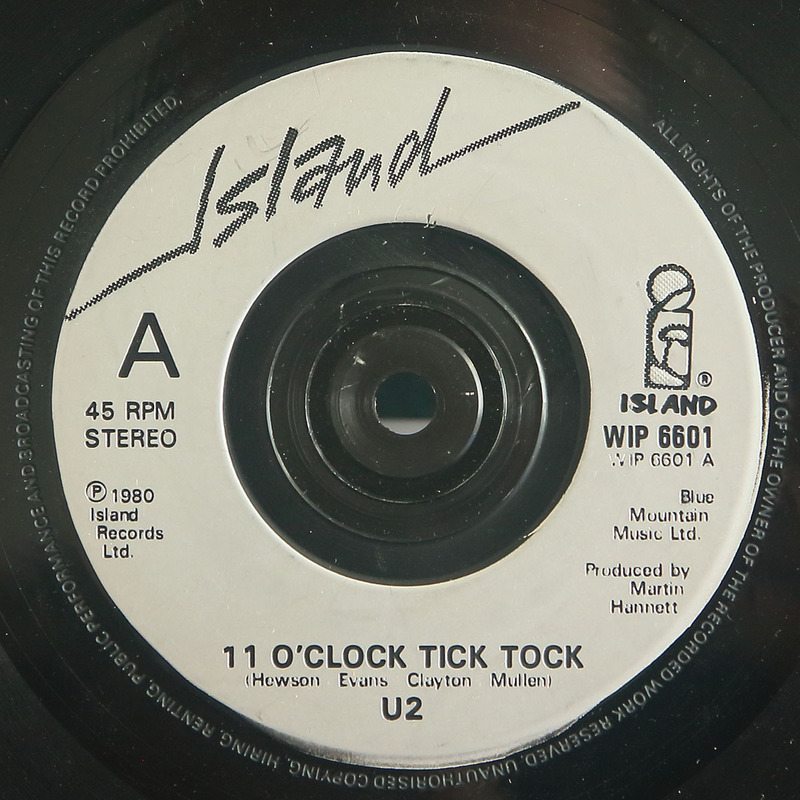 Britain". Copyright notice 1. 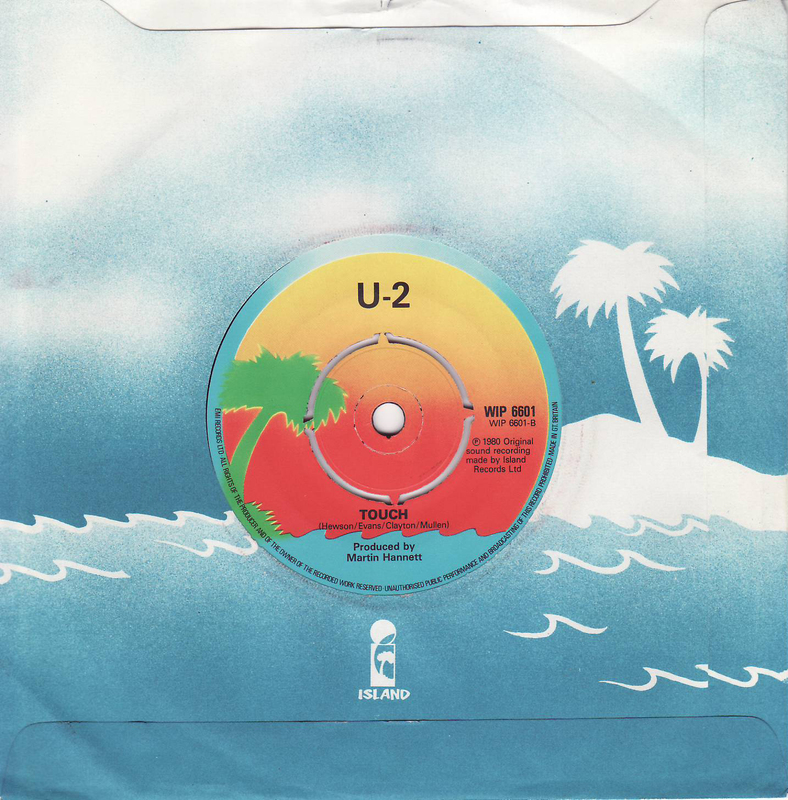 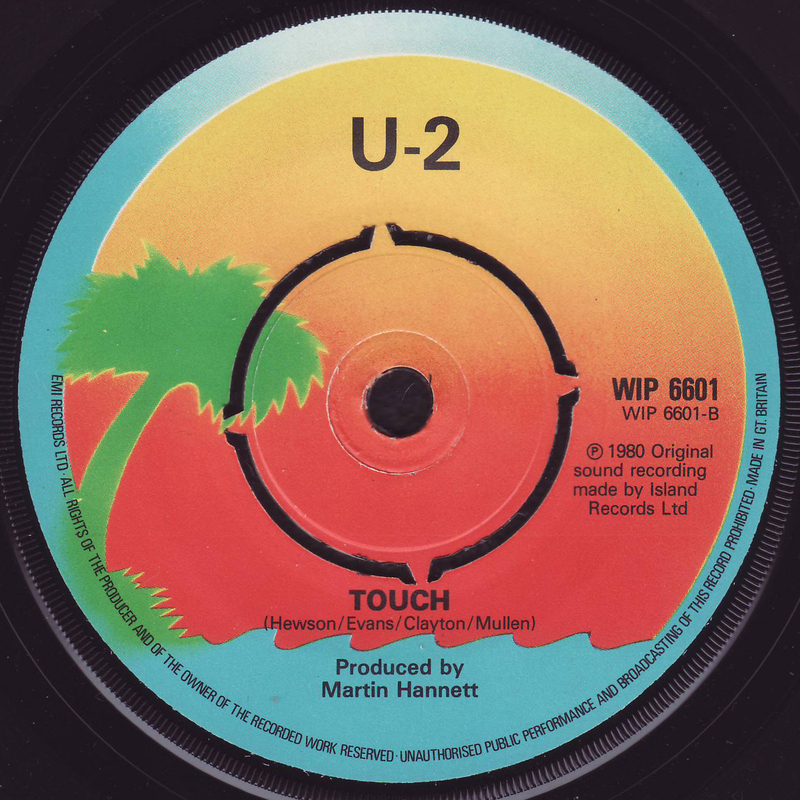 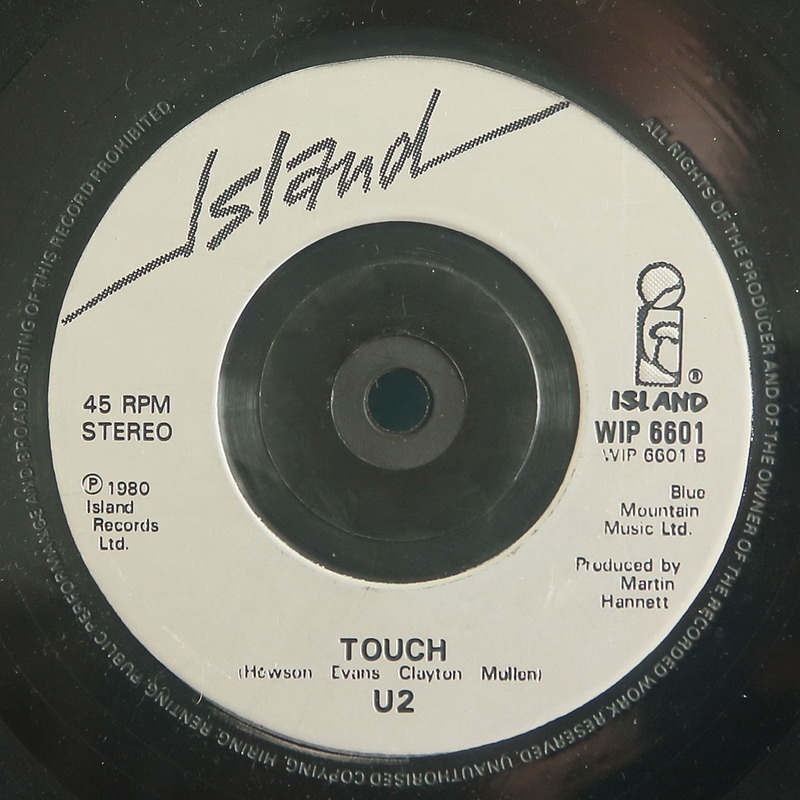 B-Label: Punch-out Island palm tree with centre, with "EMI Records" and with "Made in Gt. Britain". 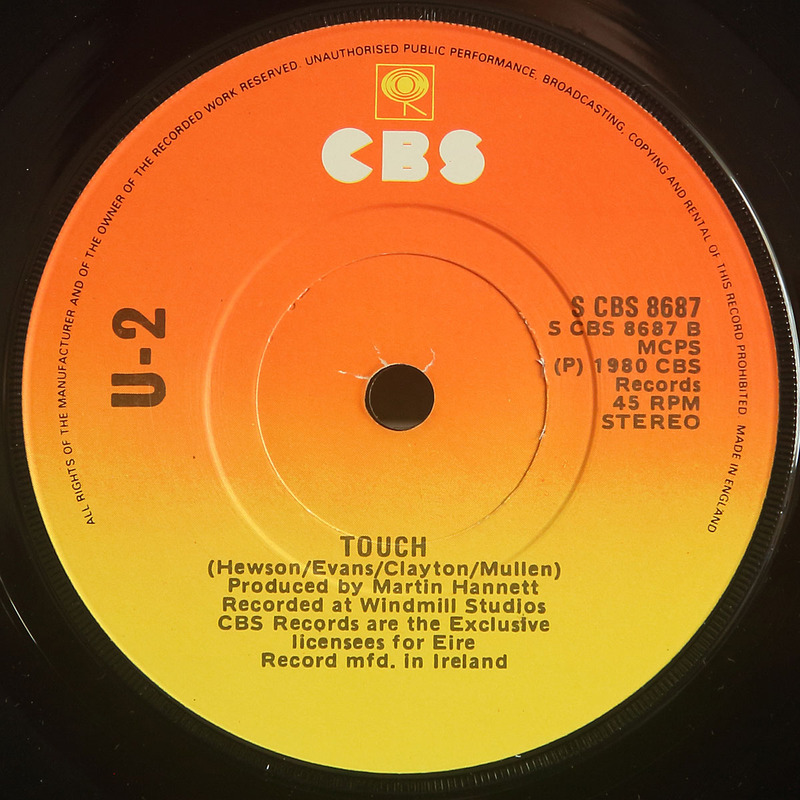 Copyright notice 1. A-Label: Punch-out Island palm tree with centre, without "EMI Records" and without "Made in Gt. Britain". Copyright notice 1. B-Label: Punch-out Island palm tree with centre, without "EMI Records" and without "Made in Gt. 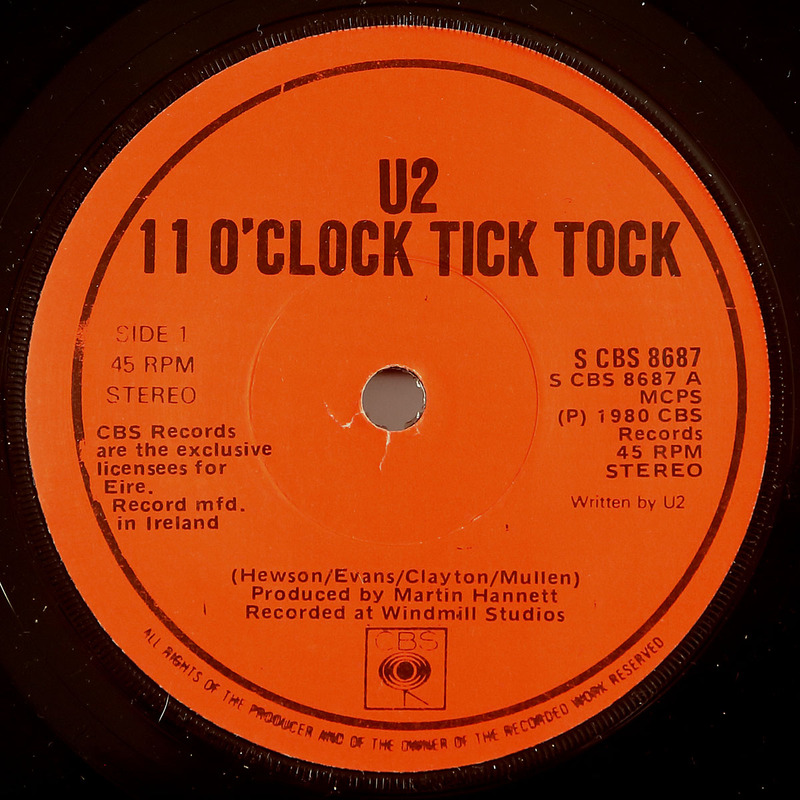 Britain". Copyright notice 1. A-Label: Punch-out Island palm tree with centre, without "EMI Records" and without "Made in Gt. Britain". 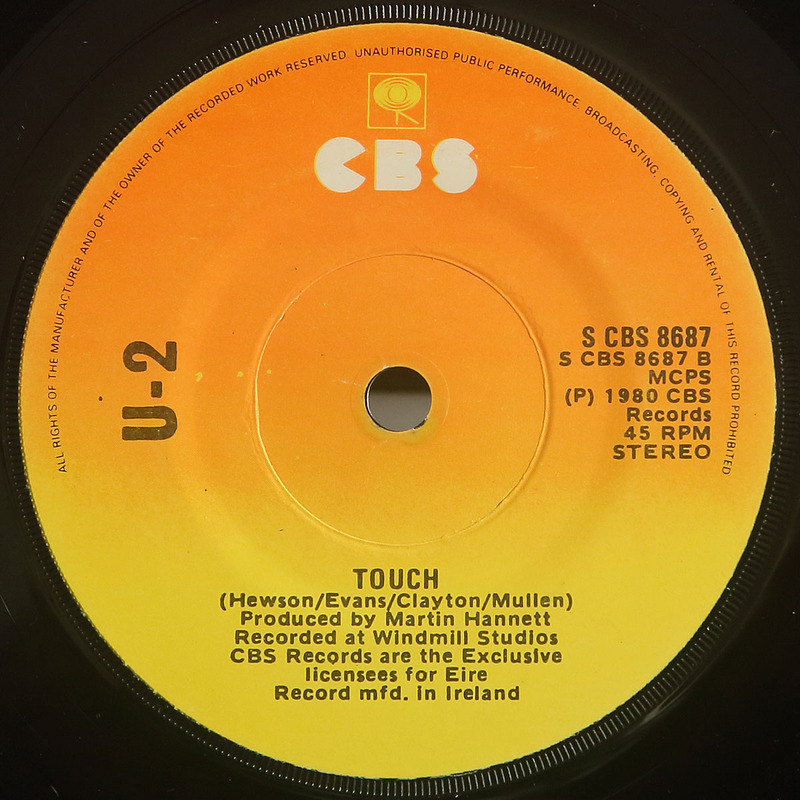 Copyright notice 2. 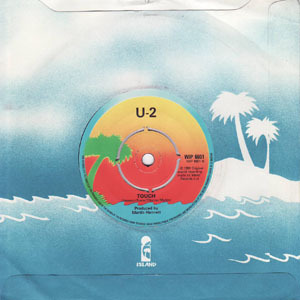 B-Label: Punch-out Island palm tree with centre, without "EMI Records" and without "Made in Gt. 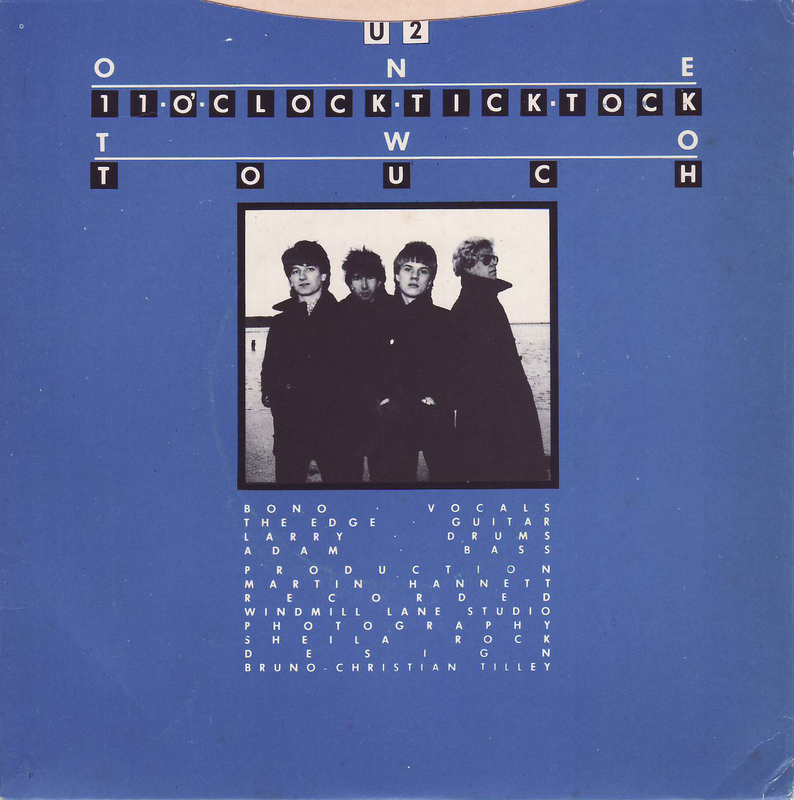 Britain". Copyright notice 2. 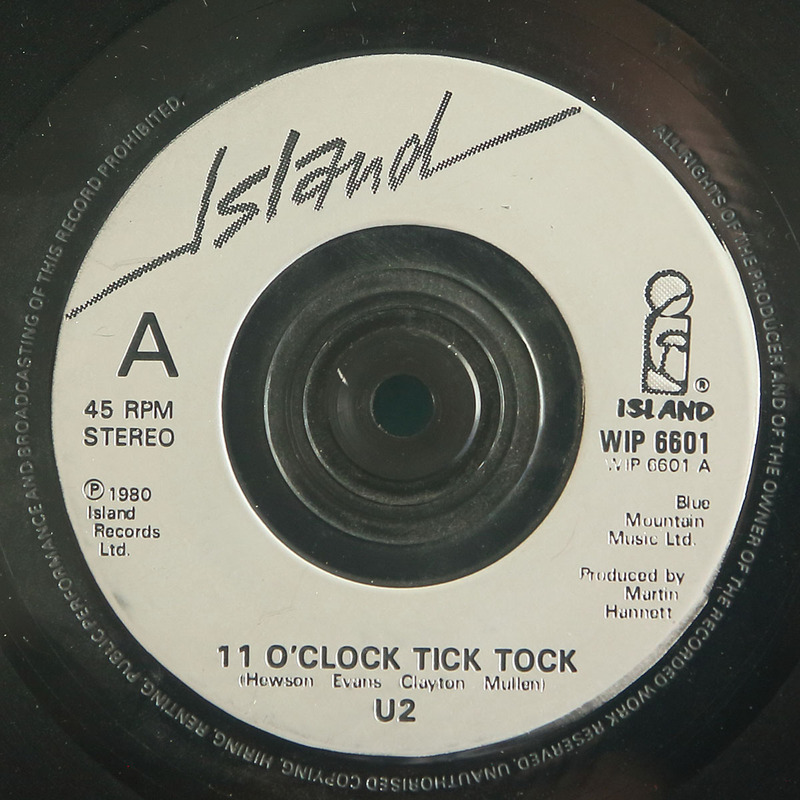 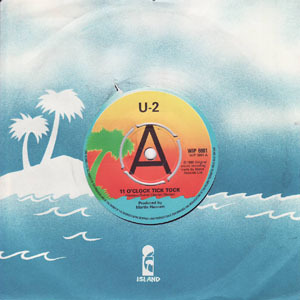 A-Label: Punch-out Island palm tree with "A" in centre, with "EMI Records" on left hand side and with "Made in Gt. Britain" on right hand side. Copyright notice 1. B-Label: Punch-out Island palm with centre, with "EMI Records" on left hand side and with "Made in Gt. Britain" on right hand side. Copyright notice 1.